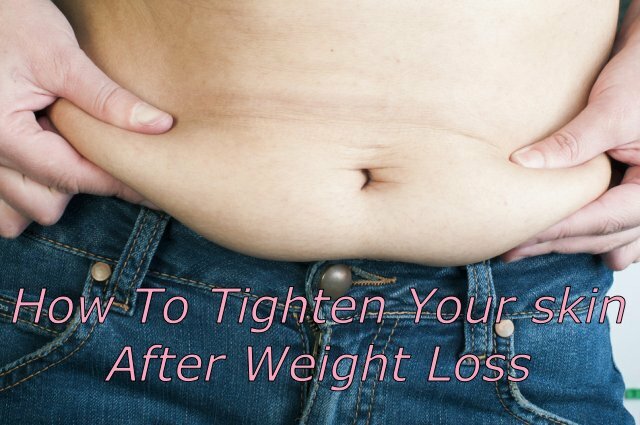 Have you been struggling with loose skin after your weight loss? This happens to everyone who has ever lost a substantial amount of weight. But don’t lose hope. No matter what your age, gender or the extent at which you have lost weight, remember that your skin is a living organ that can repair itself if taken care of and adapt to both your internal and external environment. Our skin is comprised of mostly two proteins, collagen and elastin. As we age these two proteins become less readily available and thus we lose the elasticity in our skin. Collagen is responsible mainly for the structure of our skin and elastin is what allows your skin to stretch. There are genetic dispositions which we all must factor in, but they really only hold a percentage of how our skin holds up over time and how it reacts after weight loss. Genetic Disposition: Unfortunately this is too often the go to reason that most look for in why they can’t beat the loose skin after weight loss. But if that were really the only defining cause, likely you wouldn’t have lost the weight in the first place. Genetic dispositions do play primary roles in how we develop and age. But those factors are still only a piece of a larger puzzle. Sleep: Our bodies require the time needed to repair itself. A DNA encoding process happens when we sleep that allows all that hard work we did with our fitness and nutrition to take a lasting effect on our bodies. So make sure you are getting more than enough of your zzz’s. Nutrition: Proper amounts of healthy food is essential not only for rebuilding muscle tissue and weight loss but for the tightness of our skin. If you are a fan of sweets or sugar you may want to rethink how much you put into your body. There are more than enough reasons to cut sugar out from our diets, but here is one more. Sugar is processed through glycation which allows the sugar to attach to the collagen and elastin which throws off the skins cohesiveness. Thus resulting in wrinkles and saggy skin. Stress: Remember when you were younger and got all worked up about asking the cute girl in math class to go to prom with you? Then you broke out in zits because you were all stressed out about it? No? Was that just me? Well you get the point. When your body stresses it releases cortisol which is a hormone that wreaks havoc on your entire body, including your skin. This is because cortisol plays a major factor in inflammation which can be harmful in many ways other than your skin. I know what many are going to say, “what about UV Radiation”. Sure, excessive UV Radiation can be harmful to your skin. But that is like saying excessive apple eating can lead to cyanide poisoning. Sure it’s a risk you take but not one that most concern themselves with excessively. There is more harm in the toxin put in common sunblock lotions than in the sun exposure itself. Vitamin D is a huge anti-inflammatory, anti-depressant, anti-cancer nutrient and is absolutely essential to healthy skin. Without vitamin D, your skin would become frail and thin resulting in…. saggy and wrinkly skin. Loose the weight gradually, this means no crash diets. Your skin stretched out over time, let it heal with time. Herbal and vitamin skin lotions are helpful, like vitamin E and Aloe Vera. Mineral scrubs and skin exfoliation increase blood flow which will encourage your skin to tighten up. Collagen creams are good but I find the most effective way to treat your skin is from within. Try adding collagen powder to your water or smoothie. Massages are not only great for the muscle tissue and draining the lymphatic system but wonderful for increasing blood flow and removing toxins from your skin. Water, water and more water. Hydration is key to your skin functioning properly. Drink a lot and often. Yoga is not only a great way to stretch out sore muscle but wonderful for improving your skins elasticity. Raw foods and lean proteins, both provide a wonderful source of collagen. Use natural soaps and body washes. Most market soaps have sulfates which are harmful to the skin. Detox baths are not only relaxing but really good for your skin. A good recipe for a perfect detox bath would include 1 cup epsom salt, 1 cup baking soda and an essential oil.